Here is the real treasure of imagination - books that people wished into existence, every one unique, every one magical. Some of these books are made from specialised materials such as emu leather (to look like dragon scales), real silver, amber, keys, feathers, dreams. A6 - 240 pages. The first of a series of four books that join together to create the 'B' design. Etched kangaroo skin, gold corners. Thought I'd use this as a journal to test the quality of my own work. White mango leaf endpapers. A6 - 240 pages. Second in a series of four. White mulberry endpapers. A4 - 312 pages. High quality black suede. Main feature is a hand sculpted bass relief female angel in white with wings outstretched. Latin text beneath the angel reads "NASCENTES MORIMUR" which means "from the moment of birth, we begin to die". The book is sewn in French style with three reinforcing ribbons and spinal insert. Red headbands. Black satin tasselled bookmark. Gold/Silver marbled endpapers. Cover: 220mm W x 309mm H (8.66 x 12.17in). Page: 210mm W x 297mm H (8.25 x 11.75in). Weight: 1.29kg (2.85lb). A6 - 240 pages. Black suede, fiery anvil design with silver/gold ink highlights on anvil. Black mulberry endpapers with flakes of mica. A5 - 312 pages. Black suede, fiery Anvil design with silver/gold ink highlights on anvil. Black satin tasselled bookmark. Red elephant hide endpapers. A4 - Portfolio / Presentation Case. Elegant and durable artist portfolio designed to protect artwork, designs and photographs in transit. Opens to lay completely flat as an impressive background to showcase artwork for important presentations. Hand dyed and polished kangaroo leather finished in Dark Red with the artist's name, "Tessa Elieff - Portfolio", carved and painted silver in the bottom right corner. Removable kangaroo leather belt with silver buckle, secured to the portfolio by two belt loops on the back cover. Twin heavy-duty nylon coil zips with red satin tags attached to the zippers. Protective silver metal corners. Heavy-duty three ring binder mechanism. Supports A4 size photo safe sheet protectors with acid free black inserts. Riveted hand-cut steel spine gives immense strength. Internal leather pocket, bound and stitched with red elephant hide lining. Ends of zips sewn with kangaroo leather and secured to the binder mechanism with steel eyelets - these can be moved outside the portfolio to attach a shoulder strap (not provided). Four steel crimps protect the top and bottom of the spine. A5 - 312 pages. Brown oiled kangaroo leather with extended leather flap, closes with handmade thonging that wraps around book four times. Sewn in French style with two reinforcing ribbons. Four ridges on spine with raised emboss of Orion P3 aircraft in silver. Pen holder located inside front flap. Inside front cover features a diamond engraved dedication on sterling silver plate framed in leather; cover also includes leather photo frame with clear plastic insert to accept two passport-sized photographs. Black satin tasselled bookmark. Antique elephant hide endpapers. A5 - 312 pages. Brown oiled kangaroo leather with extended leather flap, closes with handmade thonging that wraps around book four times. Sewn in French style with two reinforcing ribbons. Five ridges on spine with hand carved NM monogram in gold. Pen holder located inside front flap. Black satin tasselled bookmark. Antique elephant hide endpapers. A5 - 312 pages. Brown oiled kangaroo leather with extended leather flap, closes with handmade thonging that wraps around book four times. Sewn in French style with two reinforcing ribbons. Four ridges on spine with hand carved Anglonubian goat head (Prianka) and the word ARDEN in gold. Pen holder located inside front flap. Black satin tasselled bookmark. Grey-green elephant hide endpapers. A5 - 312 pages. Brown oiled kangaroo leather with extended leather flap, closes with handmade thonging that wraps around book four times. Sewn in French style with two reinforcing ribbons. Four ridges on spine with hand carved Sagittarius symbol in gold. Pen holder located inside front flap. Black bookmark with antique key. Silk endpapers. Weight: 0.737kg (1.63lb). A5 - 312 pages. Brown oiled kangaroo leather with extended leather flap, closes with handmade thonging that wraps around book four times. Five ridges on spine with hand carved 'NR' monogram in gold. Pen holder located inside front flap. The book is sewn in French style with two reinforcing ribbons and spinal insert. Black tasselled satin ribbon bookmark. Red headbands. Antique gold elephant hide endpapers. Cover: 160mm W x 222mm H (6.30 x 8.74in). Page: 148mm W x 210mm H (5.88 x 8.25in). Weight: 0.740kg (1.63lb). A5 - 312 pages. Brown oiled kangaroo leather with extended leather flap, closes with handmade thonging that wraps around book four times. Five ridges on spine with hand carved 'MF' monogram in gold. Pen holder located inside front flap. The book is sewn in French style with two reinforcing ribbons and spinal insert. Black tasselled satin ribbon bookmark. Red headbands. Antique gold elephant hide endpapers. Cover: 158mm W x 220mm H (6.25 x 8.68in). Page: 148mm W x 210mm H (5.88 x 8.25in). A5 - 312 pages. Brown oiled kangaroo leather with extended leather flap, closes with handmade thonging that wraps around book four times. Four ridges on spine with hand carved Leo astrological symbol in silver. Pen holder located inside front flap. The book is sewn in French style with two reinforcing ribbons and spinal insert. Red headbands. Honey brown elephant hide endpapers. A4 - 312 pages. Brown dry oiled kangaroo leather with extended leather flap, closes with handmade thonging that wraps around book four times. Hand carved and painted design. Sewn in French style with three reinforcing ribbons. Five ridges on spine. Pen holder located inside front flap. Gold tasselled satin ribbon bookmark. Gold elephant hide endpapers. A5 - 312 pages. Brown dry oiled kangaroo leather with extended leather flap, closes with handmade thonging that wraps around book four times. Hand carved and painted design with gold text in French carved in cover under front flap. The book is sewn in French style with two reinforcing ribbons. Five ridges on spine. Pen holder located inside front flap. Black tasselled satin ribbon bookmark. Antique gold elephant hide endpapers. A5 - 312 pages. Black dry kangaroo leather with extended leather flaps, designed for travelling the hard roads. Based on the original Aviator design, this version has extra flaps at the top and bottom plus a strap at the fore edge of the pages to effectively seal the book against the elements. The book is reinforced with double layers of abbrasion-resistant kangaroo leather (16 separate pieces) and 108 steel rivets. The adaptable cover closes with two internal D-ring straps and two external hand-stitched leather belts with polished buckles. The book is sewn in French style with two reinforcing ribbons and riveted spinal insert. Red headbands. Four ridges on spine. Pen holder located inside front flap. Black satin tasselled bookmark. Black elephant hide endpapers. Cover: 160mm W x 232mm H (6.30 x 9.13in). Page: 148mm W x 210mm H (5.88 x 8.25in). Weight: 1.023kg (2.25lb). A5 - 312 pages. Black dry kangaroo leather with extended leather flaps to protect the book in all kinds of weather. The book has lined parchment pages and is reinforced with double layers of abbrasion-resistant kangaroo leather and over 100 steel rivets. The adaptable cover closes with two internal D-ring straps and two external hand-stitched leather belts with nickel-plated buckles. The book is sewn in French style with two reinforcing ribbons and riveted spinal insert. Red headbands. Four ridges on spine. Pen holder located inside front flap. Black satin tasselled bookmark. Black elephant hide endpapers. Page: 148mm W x 210mm H (5.88 x 8.25in). Weight: 1.026kg (2.26lb). A4+ - 1008 pages. Black polished goat leather cut and resewn with kangaroo leather thonging. Exposed to the light of the eclipsed sun in Ceduna, Australia on 04 December 2002. Main feature is huge pewter Baphomet goat's head in centre of front cover on inverted pentagram, with Garnet eyes that were exposed to the light of the eclipsed sun. Ouroboros snake devouring own tail circles clockwise with head at top. Text carved into the snake reads: "NIGER LITTERAE SACRAE DE SATANAS". This piece alone weighs 750 grams (1.65lb or 26.5 oz.). Baphomet centrepiece is surrounded by five crystals supplied by owner (from top left): fire opal (orange), smoky quartz (grey/brown), sunshine aura (yellow), obsidian (black), aqua aura (blue). Eclipsed Poppy Jasper set in three pewter corners with hand carved frames on front cover, each with 666 stamped into the metal. Pewter bat with hand carved wings in lower right corner. Skull locks on cover are engraved with symbols from the Necronomicon: (3) Marutukku - Master of the Arts of Protection, possesses the ARRA star or pentagram and works as a ward for the book; and (41) Lugalanna - Power of the Eldest of the Eldest Ones, possesses secret knowledge and increases magic ability. Hinged two-piece locks open with hand made solid sterling silver pentagram keys and are connected by twin bones to skeletal claws on the back cover. The jaws of the locks remain on the front cover, and there are crescent-shaped black leather pads on the backs of the skulls. Back of book features heavy scarring, skeletal claws forming base of hinged skull locks, and four Celtic horned snakes - one in each corner - with flickering tongues of sterling silver. Blue glass eye set in pewter circle and triangle on spine, again with 666 stamped into the metal, made using a new technique that catches any available light so that the eye appears to glow from within. Further down the spine, text carved into the pewter scroll reads: "INOMINE SATANAS". Oxford hollow back, red headbands, sewn in French style with three reinforcing ribbons. Inverted pentagram bookmark on black satin ribbon. Black elephant hide endpapers. Cover: 246mm W x 309mm H (9.68 x 12.17in). Page: 235.5mm W x 297mm H (9.27 x 11.69in). Weight: 5.62kg (12.36lb). A4 - 312 pages. Black dry kangaroo leather, cut and resewn with kangaroo thonging. Main feature is a large bass relief pewter Baphomet goat's head in the centre of the front cover on an inverted pentagram. Ouroboros snake devouring its own tail circles clockwise around the pentagram with snake's head at top. Text carved into the snake reads: "NIGER LITTERAE SACRA DE SATANAS". Pewter corners featuring a spiky moon design are located in each corner of the front cover and a hand carved pewter scroll on the spine. Text carved into the pewter scroll reads: "IN NOMINE SATANAE". The back of the book features heavy scarring. In the centre of the back cover is a satanic sigil, created by combining the alchemical symbols for mercury and sulphur. The trident, including the first horizontal bar, was used to symbolise mercury or lime. The symbol for sulphur - the vertical stoke, the two horizontal bars and the infinity loop - represented black sulphur, brimstone or black mercury (mercuric sulphide). Alchemically, sulphur has masculine qualities (hot and dry) - combined with mercury (feminine, cool and moist) the pair were considered the parents of all metals. The customer's name has been hand carved into the bottom of the back cover and finished in silver, along with :6:6:6: as a reference to the Number of the Beast (666) from the Bible's "Book of Revelation". Sewn in French style with spinal insert and two reinforcing ribbons. Hand carved inverted pentagram bookmark on black satin ribbon. Black elephant hide endpapers. Page: 210mm W x 297mm H (8.25 x 11.75in). Weight: 1.743kg (3.84lb). A4+ - 100 sheets. Massive plain black prisma paper photo album with glassine inserts. Hand dyed and polished kangaroo leather finished in black and a mixture of blues (Light Blue, Navy Blue and Turquoise). The leather cover features an intricately hand-carved silhouette of tree branches with hanging fruit bats set against a deep blue sky. One bat has already taken flight and can be seen against a bright glow in the sky - perhaps the moon. Handmade pewter flying foxes decorate the corners and a reversible hanging flying fox panel is situated on the left, again hand carved from pewter. This album was made specifically for someone who works with bats both at the zoo and as part of the Wildlife Information & Rescue Service (WIRES). The album is sewn in French style with three reinforcing ribbons. Oxford hollow back, revolutionary black headbands. Black prisma endpapers. Cover: 372mm W x 253mm H (14.65 x 9.96in). A6 - 312 pages (oversize). Black leather with silver metal corners. Retrofitted red satin ribbon bookmark, tasselled with pewter skull. Black mulberry endpapers with gold leaf. 'Binki' was the name of Death's horse in Terry Pratchett's Discworld novels. A5 - 312 pages. Hand carved kangaroo leather, cover is one piece hand dyed blood red panels with black corners and spine. Book closes by winding black hand-plaited kangaroo thonging around carved pewter four-leaf clover button with steel shaft. Strap is New Zealand calf leather. Black and batik gold endpapers. Cover: 158mm W x 220mm H (6.25 x 8.68in). Page: 148mm W x 210mm H (5.88 x 8.25in). A5 - 312 pages. Hand carved kangaroo leather, cover is one piece hand dyed blood red panels with black corners and spine. Book closes by winding black hand-plaited kangaroo thonging around carved pewter four-leaf clover button with steel shaft. Strap is New Zealand calf leather. The book is sewn in French style with two reinforcing ribbons and spinal insert. Red headbands. Black gold milano endpapers. A4+ - 80 pages. Dry mount photo album with acid free black pages and pergamin interleaves. Hand dyed and polished kangaroo leather finished in Navy Blue, Turquoise and iridescent Topaz to catch the light. The dye effects represent the sunlight shining on the surface of the ocean and streaming into the depths below. This photo album was a wedding gift and arrived on the very day of the wedding. Text carved into the front cover reads "Joost & Barbara Australia" in silver letters. The album features three heavy embossed straps on the spine, the long middle strap surfacing through the cover and closing the album with a length of black plaited thonging wound around a handmade pewter starfish. A silver wave border has been carved around the entire album. Hand plaited Malibu blue satin ribbon bookmark with two initial letters (J and B) cut and carved from a single piece of burnished pewter. Special aqua-blue headbands. Blue elephant hide endpapers. Cover: 256mm W x 300mm H (10.08 x 11.81in). Page: 247mm W x 289mm H (9.72 x 11.38in). A3 - 864 pages - album. Dark brown oiled kangaroo leather with a total of 18 keys set out on a studded chest design, one key on the front cover has a paper tag. Prepared for the Guinness World Record for the World's Longest Fantasy Story "The Search for the Golden Key" with a goal of raising more than $100,000 for the Women's and Children's Hospital, Adelaide, Australia. The book consists of a number of smaller books - (1) The Search for the Golden Key, (2) The Door to the Future, (3) Twin Earth, (4) The Caretaker, (5) The Final Days, (6) New Era, (7) From Darkness to Light, (8) The Mysterious Messenger. The entire story was estimated at over 200,000 words and would take 24 hours to tell. Album consists of separate spine, front and back covers which fasten together with four brass posts (Chicago screws). Grey/brown elephant hide endpapers. Cover: 320mm W x 430mm H (12.60 x 16.93in). Page: 297mm W x 420mm H (11.69 x 16.93in). Weight: 5.8kg (12.79lb). A4- - 720 pages. Hand dyed brown kangaroo leather with finely detailed designs. The leather cover has been reverse carved with an intricate gold scrollwork border and leaf corners. The centre panel features six carved flourish designs and the bold title of the book - Darkest Magick. This is a working prop replica of the spellbook used by Willow in episode 5.19 (Tough Love) of Buffy the Vampire Slayer where Willow unleashes her vengeful rage on the goddess Glory for "feeding" on the mind of her lover, Tara. Five ridges on spine outlined in gold. The main features on the spine are the words 'Darkest Magick' carved in gold and a four-pointed swirl surrounded by four small stars. Use of the number four symbolises drawing magickal power from the four watchtowers. Two replica books were made - both books close with a handmade metal book clasp which composes of two riveted brass plates and a hinged wire closure with a brass chenier roller. The books are sewn in French style with three reinforcing ribbons, Oxford hollow back and spinal insert. Special gold headbands. Honey brown elephant hide endpapers. Cover: 208mm W x 293mm H (8.19 x 11.5in). Page: 184mm W x 280mm H (7.25 x 11in). Weight: 2.1kg (4.63lb). A5- - 504 pages. Hand dyed kangaroo leather in Buffy red (mix of carmine, red and light brown) with black title band and spine. The main feature is the title of the book - Witchcraft - reverse carved in gold on the black band across the front cover and again on the spine. The black areas are bordered by a single gold line; front and back covers are blind tooled with subtle double line borders. This is a working prop replica of the spellbook used by Willow in episode 3.8 (Lover's Walk) of Buffy the Vampire Slayer where Willow prepares a de-lusting spell which she hopes will put an end to her affair with Xander. Two replica books were made - both finished on Friday the 13th. The books are sewn in French style with two reinforcing ribbons, Oxford hollow back and spinal insert. Special gold headbands. Black elephant hide endpapers. Cover: 156mm W x 227mm H (6.14 x 8.94in). Page: 139.75mm W x 216mm H (5.5 x 8.5in). Weight: 0.925kg (2.04lb). 4in x 6in - 220 pages. Hand dyed black kangaroo leather with gold 'Cass' and flourish carved into leather cover. Pages are white acid-free cartridge paper (instead of parchment). Red double-satin ribbon bookmark with straight diagonal cut. Grey/green elephant hide endpapers. A5 - 312 pages. Hand dyed turquoise and navy-blue kangaroo leather. Main feature is a hand sculpted snow dragon in ice blue and white with wings outstretched, aloft in the night sky with stars reflected in the lake below. Sterling silver lockable wire clasp with stylised dragon wing design and ring-wire gates. Sterling silver padlock is engraved with SC - the initials of the owner of the book. The lock opens with a sterling silver sun/moon folding key hand carved from three layers of 1mm silver plate - the key can be hidden away inside the disc and worn as a pendant. The book is sewn in French style with two reinforcing ribbons and spinal insert. Red headbands. Sky blue satin bookmark with straight diagonal cut. Blue linen endpapers. The stars in the background are based on NGC 300 - a Milky-Way-like galaxy about 9 million light years away. It is a member of a small group of galaxies towards the southern constellation of Sculptor. Cover: 158mm W x 220mm H (6.25 x 8.68in). Page: 148mm W x 210mm H (5.88 x 8.25in). Weight: 0.882kg (1.95lb). A5 - 312 pages. Black suede, gold painted pewter angel with leaves and rose on right side, cherub below. White mango leaf endpapers. A6 - 240 pages. Blue shiny material over felt, gold painted antique key, gold metal corners. Commissioned as a 21st birthday present for a girl named Destiny. Blue denim endpapers. A3- - 504 pages. Hand carved kangaroo leather, hand-dyed purple/burgundy (mix of Red and Turquoise). Main feature is a Celtic knotwork dragon design carved into the cover with two dragons in bass relief circling around the outside. Left dragon is a mixture of iridescent blues and purples, the dragon on the right is painted in metallic golds, bronzes and greens. The original Dragonknot design features on the main entry page of this website and was licensed from talented artist Stephanie Pui-Mun Law. Carved into the front cover beneath the dragons are the words "Riht Ongytenes Ge-restan Beinnan" which in Old English means "true knowledge lies within". On the spine of the cover is carved the name "Kokila" which means nightingale in Bengali (Kokila, owner of this book, is a singer of Celtic-style music). The two birds either side of the name symbolise nightingales. The back cover features a chalice entwined by tree roots - the silhouette effect of the chalice was left untouched after the initial dye was applied. The book is sewn in French style with four reinforcing ribbons and an Oxford hollow back plus spinal insert. Red headbands. Gold tasselled satin ribbon bookmark. Patina elephant hide endpapers. Cover: 307mm W x 388mm H x 45mm D (12.08 x 15.28 x 1.77in). Page: 286mm W x 375mm H (11.26 x 14.76in). Weight: 3.4kg (7.50lb). A5 - 312 pages. Green suede with pewter dragonfly and fancy silver corners. Sewn in French style with two reinforcing ribbons. Special cream headbands. Cream satin tasselled bookmark. Burgundy mulberry endpapers. A5 - 312 pages. Green suede with pewter dragonfly and fancy silver corners. Sewn in French style with two reinforcing ribbons. Red double satin bookmark with straight diagonal cut. Grey/green elephant hide endpapers. A5 - 624 pages (oversize). Hand dyed green kangaroo leather with pewter dragonfly on carved and painted gold bullrush/cattail design. The word "Anelftu" is carved above the dragonfly and a seven-pointed faerie star below. The four ornate sterling silver book corners were inspired by the Celestial Dragon clasp and resemble bugs which tie in with the dragonfly design. The spine features a seven-pointed faerie star and two bullrush designs with a small flying dragonfly. The book is sewn in French style with two reinforcing ribbons, Oxford hollow back and spinal insert. Special gold headbands. Silver satin tasselled bookmark. Green and cream abaca endpapers (cream side dominant). Page: 148mm W x 210mm H (5.88 x 8.25in). Weight: 1.157kg (2.55lb). A4 - 312 pages. Hand dyed and polished kangaroo leather finished in purple Oxblood with a pewter dragonfly on a carved and painted gold bullrush/cattail design. The name "Jessica May Koppel" is carved above the dragonfly and a seven-pointed faerie star below. Four silver plated filigree book corners. The spine features a seven-pointed faerie star and two bullrush designs with a small flying dragonfly. Incidentally, the earliest mention of the word dragonfly is said to be in Francis Bacon's Sylva Sylvarum (1626) "The delicate coloured dragon flies". The book is sewn in French style with three reinforcing ribbons and a spinal insert. Special gold headbands. Silver satin tasselled bookmark. Rose elephant hide endpapers. Page: 210mm W x 297mm H (8.25 x 11.75in). Weight: c. 1.300kg (2.87lb). A5 - 244 pages. Sampler book using a variety of materials created as a promotional demonstration book for Eckersley's Art Supplies (Adelaide, Australia) for Christmas 2002. The 244 pages consist of: 48 pages of cartridge paper, 28 pages of glossy photo paper showing colour thumbnails and descriptions of all current books on this website, and 168 pages of archival quality parchment paper. Space was required at the back of the book to accept the folding multi-panel cover. Front cover is high quality black suede with card set into cover, silver corner at top and gold corner at bottom. Spine is punched and laced with black leather thonging to connect to black leather on back cover. Cover continues with two panels that fold out from back of book - first panel is brown oiled kangaroo leather with emu leg leather inset - second and final panel is low quality black suede with leather and samples (Brown, Lt. Purple, Dk. Purple, Blue Job, Maroon Skiv, Green, Green Job, Burgundy, Scarlet Goat, White, Black Skiv, Black HI-Q, Red, Greasy Roo, Emu Leg, Oiled Roo - bottom illustrates Black LO-Q). Endpapers from inside front cover are: Gold elephant hide, Grey/green elephant hide, Black mulberry with gold leaf, and Burgundy milano. Book also contains five satin ribbon bookmarks: narrow black, green and plum with clean diagonal cut; wide red and black with tasselled finish. A3- - 504 pages. Black polished goat leather with emu leg spine to look like dragon scale. Main feature is a dragon pentagram coloured bronze, fixed at five points to a spiky pewter coverplate with four elemental semi-precious gemstones. North - Green Malachite, South - Red Tiger Iron, East - Yellow Tiger's Eye, West - Blue Azuramalachite. All stones were exposed to the light of the eclipsed sun. Tiger Iron is unique to Australia and was formed over two billion years ago from a combination of Jasper, Tiger's Eye and Hematite. Engraved on the coverplate beneath the dragon are the words "ALMUG UIN CANAD GWAEW" which means "Dragon of the four winds" in Sindarin, the language spoken by Tolkien's Grey Elves. Spiky pewter corners on front and back cover. The cover alone weighs 1.8kg (3.97lb). Sewn in French style with four reinforcing ribbons. Red headbands. Red tasselled satin ribbon bookmark. Grey/green elephant hide endpapers. Cover: 310mm W x 388mm H (12.20 x 15.28in). Page: 286mm W x 375mm H (11.26 x 14.76in). Weight: 4.2kg (10.58lb). A4+ - 720 pages. Hand dyed black kangaroo leather with embossed dragon pentagram design and border. A companion volume to the original Elemental Dragon (spells and rituals), this robust book will travel a more personal journey, gathering knowledge along the way. My first experiment with embossed leather, the raised dragon and border design are made from three layers of carved leather and an assortment of new techniques to create a rich 3-D effect. The dragon and border are subtly 'lit' with gold that is visible from some angles and invisible from others. The gold text on the pentacle reads "ALMUG UIN CANAD GWAEW" which means "Dragon of the four winds" in Sindarin, the language spoken by Tolkien's Grey Elves in the Lord of the Rings. The book is sewn in French style with four reinforcing ribbons, Oxford hollow back and spinal insert. Five ridges on spine outlined in gold. Special gold headbands. Gold satin tasselled bookmark. Black gold milano endpapers. Cover: 278mm x 343mm H (10.94 x 13.50in). Page: 254mm x 330mm H (10 x 13in). Weight: 3.56kg (7.85lb). Inspired by the book 'Baphomet', blue topaz eye set in sterling silver circle and triangle amulet, made using a technique that catches any available light so that the eye appears to glow from within. Each of the three outer triangles are riveted in three places and engraved with a '6' to form 666. Handmade round 4-plait black goat leather thonging with sterling silver hook-and-eye clasp. Black of amulet is polished goat leather. Amulet measures 50mm (2in) diameter. Leather thonging measures 600mm (23.6in) from hook to eye. Inspired by the book 'Baphomet', blue topaz eye set in sterling silver circle and triangle amulet, made using a technique that catches any available light so that the eye appears to glow from within. Each of the three outer triangles are riveted in three places and engraved with a '6' to form 666. Round 4-plait black leather thonging with sterling silver hook-and-eye clasp. The black background of the amulet is polished goat leather. A handmade black suede pouch was provided. Leather thonging measures 700mm (27.56in) from hook to eye. A6 - 240 pages. Green suede with pewter faerie and gold stars. Banana leaf endpapers. A5 - 312 pages. Green suede with pewter faerie and gold stars bottom right corner, fancy silver metal corners. Sewn in French style with two reinforcing ribbons. Cream satin tasselled bookmark. Green and cream abaca endpapers (cream side dominant). A5 - 252 pages. Full bound in black suede. Oxford hollow back, red headbands, split-board cover. French joint ensures easy opening. Single piece silver Celtic pentagram dominates the cover. Parchment inside, sewn in French style with two reinforcing ribbons. Blue parchment-print endpapers. The name Finegas (Finn Eces, Finneces, Finnegas) belonged to an Irish druid who hoped to become wise by eating the salmon of knowledge. Unfortunately, his pupil, Finn MacCool (Fionn mac Cumhaill) burnt his thumb while cooking the fish and sucked the burn. Realising that his pupil was the one destined for knowledge, Finegas let the boy eat the whole fish. A6 - 240 pages. Black suede, red suede top hat detailed with gold wire and red feather (the feather cost four dollars!). Commissioned as a gift for a red-hat theme birthday party. Blue denim endpapers. A5- - 820 pages. King James version of the Holy Bible, recovered in hand dyed black kangaroo leather with silver cross and circle of flames design carved into leather cover. Latin text beneath the design reads "Alea iacta est. Aut vincere aut mori" which means "The die is cast. Either conquer or die (victory or death)". Silver gilded pages, Oxford hollow back, red headbands. Red satin ribbon bookmark with straight diagonal cut. Black and silver endpapers. Cover: 151mm W x 217mm H (5.95 x 8.54in). Page: 133mm W x 203mm H (5.25 x 8.00in). Weight: 0.882kg (1.95lb). A4+ - 100+ sheets. Massive plain black prisma paper photo album with glassine inserts. Hand dyed and polished kangaroo leather finished in Dark Red (mix of Red, Carmine, London Tan and Brown). Main feature is a hand carved pewter sculpture of 'The Kiss' of Eros and Psyche in front of the Parthenon. Hand carved gold border winds around the entire album. Four ridges on spine. Text carved into the front cover reads "GREECE HONEYMOON" in white letters. The story of Eros and Psyche is the basis of the fairytale "Beauty and the Beast". A beautiful princess named Psyche had become so famous for her beauty that men were beginning to say that she was even more lovely than Aphrodite herself. Aphrodite, goddess of love, sent her son Eros to cause Psyche to fall in love with an ugly monster, but instead Eros fell in love with Psyche. Eros was kind and gentle, and his words were loving and sweet, but he would not allow Psyche to see his face. Her sisters encouraged her to find out if he was a terrible monster and she tried to glimpse his face by the light of an oil lamp - the oil dripped and woke him and he fled. Aphrodite was still unhappy and set many impossible tasks for Psyche, which she completed with secret help from Eros. Eventually Zeus said that Eros had proved his love for Psyche and made Psyche immortal so that she could live with Eros on Mt Olympus, happily ever after. The Parthenon, on the highest part of the Acropolis (high city) in Athens, was dedicated to Athena Parthenos (Parthenos means virgin). Begun in 447 BCE, the temple was dedicated in 438 and remained a temple for almost a thousand years. Sometime around the 5th century the building was converted into a Christian church. When the Turks conquered Athens in 1458 they turned the Parthenon into a mosque. In 1687 a Venetian army besieged the Turkish garrison on the Acropolis. At this time the Turks were using the Parthenon as a powder magazine. On 26 September 1687 the Parthenon sustained a direct hit from a Venetian shell and the powder stored there exploded. Most of the interior walls of the temple were destroyed. 12x14in - Album. Hand carved, tooled and embossed kangaroo leather featuring an arched Celtic knotwork border of twisted branches framing a woodland scene. Hand embossed leather is raised up from underneath to create a 3D effect. The cover is hand painted in a monochrome harmony of mahogany and brown using a mix of antique stains, dyes and finishes. The woodland scene is a fairy-tale landscape of tangled trees, twisted branches, rocks, ferns and mossy ground. The scene to the left of the tree is dominated by the foliate head of the Green Man, the Old Man of the Woods, with his face and beard made of oak leaves. He blends into the forest becoming gnarled branches above and rocks below. The Green Man is an extremely old image and appears in Europe where there are stretches of old relict woodlands, such as the forest of Sherwood. Here he represents the God of the Woods, the watchful Spirit of the Forest, and the return of spring after winter. The forest path winds around to the right of the tree and symbolises the path of the Green Witch. Two coyotes pause on the path by the ferns, one watches a whitetail deer in the distance - he has clearly seen the coyotes. A screech owl in the border watches from its perch. The path continues into the forest until it vanishes over a rise, and a hawk flies over a brief clearing in the foliage. The knotwork border forms an arch of branches and tendrils, with the canopy at the top and fine roots at the bottom. Hidden within the border are five birds (from top right, clockwise): blackbird, screech owl, sparrow, blackbird, sparrow. The top corners are filled with oak leaves and a ruby-in-zoisite cabochon rests in each corner of the front cover. Ruby in Zoisite (Anyolite) is a mix of green zoisite and black hornblende with opaque ruby inclusions. It is found in Kenya and Tanzania, Africa. This stone relates to creativity and healing and helps ideas swirling around in our heads to stabilise and focus. It provides for amplification of psychic abilities and healing energy, and increases awareness of self while remaining connected to humanity. The removable flat spine with four ridges and adjustable Chicago screws (brass posts) allows this leather grimoire to grow over the years. The front and back covers can be used without the spine to start with a limited amount of pages (1 to 2 inches). With the spine, four large Chicago screws add strength to allow for 3 inches of paper and up to 3.5in with extensions - well over 1000 pages. The back cover features a reverse carved eye in triangle sigil. Honey brown elephant hide endpapers. This Grimoire for the Green Witch was designed to contain an existing book of shadows - a collection of hand written pages of spells and water colour paintings of plants and herbs. This green witch lives on a large farm, collects her own herbs either grown or wild, and runs her own flower shop. Green witches are practical folk using what is available, and feel comfortable spending time alone walking quietly among the trees and watching the birds and animals. This project took over two years to create requiring almost 300 hours of unpaid work. The cost for tools and materials alone far exceeded the original budget. Cover: 311mm W x 368mm H (12.25 x 14.50in). Page: 305mm W x 343mm H (12.00 x 13.50in). Weight: 1.358kg (3lb). Those of the �satru religion who have dedicated their lives to Odin favour the Valnott. The Valnott or " death knot ", the triple triangle shown above, is one of Odin's symbols. Odin's followers have a tendency to die violently. A4 - 256 pages. Full bound in black suede. Oxford hollow back, red headbands, reinforced split-board cover. French joint ensures easy opening. Large silver pentagram enclosed by two circles dominates the cover with crescent moon and four-pointed star in top right and again in bottom left corners. Parchment inside, sewn in French style with four reinforcing ribbons. The name 'Iolena' is a combination of 'dawn cloud' and the moon, befitting the stars and moon on the cover, as well as being born on the eve of a new year. Buff parchment endpapers. A6 - 240 pages. Hand dyed and polished kangaroo leather finished in Navy Blue, Light Blue and Turquoise. Front cover features a sunken vertical centre panel with embossed Japanese Kanji text which translates to mean "My Brother Tsutomu". Back cover also has carved text in Kanji, English and Greek which reads "Bright Blessings (happiness and light) with love Haralampos". A double-line silver border appears on both front and back covers and spine. The book is sewn in French style and has a spinal insert. Silver satin ribbon bookmark with straight diagonal cut. Special blue headbands. Blue elephant hide endpapers. Cover: 113mm W x 159mm H (4.45 x 6.26in). Page: 105mm W x 148mm H (4.13 x 5.88in). Weight: 0.330kg (0.73lb). A4 - 720 pages. Black cow leather. Main feature is a large hand cast pewter pentagram painted in textured metallic blue, green, purple and silver with gold sparkles. Four ornate pewter corners on the front cover and a hand carved pewter scroll on the spine. Text carved into the pewter scroll is the Wiccan Rede "AN' IT HARM NONE DO WHAT YE WILL". Sterling silver lockable wire clasp with +/- Ankh design. Small brass padlock features engraved pentagram which works as a protective ward for the book. The lock opens with a sterling silver ankh key hand carved from a single piece of silver plate - the key was made to be worn as a pendant. The name Kiankha (ki-ankh-a) comes from KI, the life force and also a Sumerian Earth goddess, ANKH, the Egyptian hieroglyph for life and KA, the Egyptian equivalent of the soul or spirit. Sewn in French style with three reinforcing ribbons. Oxford hollow back, red headbands. Three red satin ribbon bookmarks, each with a different key. Gold elephant hide endpapers. Cover: 220mm W x 309mm H (8.66 x 12.17in). Page: 210mm W x 297mm H (8.25 x 11.75in). A5 - 360 pages. Black cow leather. Main feature is a large hand cast pewter pentagram painted in metallic blue, green and purple with gold sparkles. Four ornate pewter corners on the front cover and a hand carved pewter scroll on the spine. Text carved into the pewter scroll is the Wiccan Rede "AN' IT HARM NONE DO WHAT YE WILL". Sterling silver lockable wire clasp with +/- Ankh design. Sterling silver padlock is engraved with a pentagram to work as a protective ward for the book. The lock opens with a hardened sterling silver ankh key hand carved from a single piece of silver plate - the key was made to be worn as an earring. This book is half the size and half the number of pages of the original Kiankha book. The name Kiankha (ki-ankh-a) comes from KI, the life force and also a Sumerian Earth goddess, ANKH, the Egyptian hieroglyph for life and KA, the Egyptian equivalent of the soul or spirit. The book has lined parchment pages and a printed dedication on the first page (18th Birthday). The book is sewn in French style with two reinforcing ribbons and spinal insert. Red headbands. Three red satin ribbon bookmarks with keys. Blue elephant hide endpapers. Page: 148mm W x 210mm H (5.88 x 8.25in). Weight: 0.920kg (2.03lb). A5 - 312 pages. Green suede with pewter owl and arc of stars, fancy silver corners. Handmade pewter DF monogram top of spine. Sewn in French style with two reinforcing ribbons. Forest green satin tasselled bookmark. Burgundy mulberry endpapers. A3- - 300 pages. A life size replica of a magical creature - nasty and vicious, it will try to bite the hand of anyone who opens it. Gold text on the front of the book reads "The Monster Book ". Full bound in kangaroo fur with 'fight' marks, tentacles and spines. The padded tentacles are hand dyed and carved kangaroo leather, and wired to allow them to be bent into any position. Four yellow eyes in the centre of the cover, eyebrows and nostrils. Side of the book features hand sculpted and painted teeth with a hinged bottom jaw. Deep red leather forked tongue bookmark. Pages are handmade cotton rag paper with deckled edges. The book is sewn in French style with four reinforcing ribbons. Oxford hollow back. White cotton rag endpapers. Cover: 323mm W x 409mm H (12.71 x 16.10in). Page: 275mm W x 380mm H (10.83 x 14.96in). Weight: 4.46kg (9.83lb). A6 - 240 pages. Black suede, flying fox/bat perched on sword, wings open, silver with blue highlights. White mulberry endpapers. A6 - 240 pages. High quality black suede. Hand carved pewter dragon perched on sword, wings open. Spinal insert. Black gold milano endpapers. This book is a good example of how new skills improve the design - compare to the original Orphen book (above). A5 - 312 pages. Hand dyed black kangaroo leather with gold "Parnoon" and flourish carved into leather cover. Parnoon is an Iranian/Persian girl's name that means 'fine painted silk'. The book is sewn in French style with two reinforcing ribbons and spinal insert. Red headbands. Red satin ribbon bookmark with straight diagonal cut. Black and batik gold endpapers. A4+ Landscape - 148 pages. Brown dry oiled kangaroo leather bound in landscape to be used as a stud book to record the pedigree of livestock. This is a good example of a combined effort - printed ruled pages, cover page, endpapers and bookmark were supplied by Paperworld to meet the customer's requirements and following my advice on size, quantity and materials. Burgundy and gold satin bookmark with forked cut. Antique parchment endpapers. Cover: 317mm W x 220mm H (12.50 x 8.70in). Page: 310mm W x 214mm H (12.20 x 8.43in). A6 - 240 pages. Brandy coloured oiled kangaroo skin. 'Pygmaelion' written vertically in gold. In Greek mythology, Pygmalion (note spelling difference) was king of Cyprus. He fell in love with a beautiful statue of a woman. When he prayed to Aphrodite for a wife like it, the goddess brought the statue to life and Pygmalion married her. In one version of the legend, the statue becomes Aphrodite; another states that Pygmalion sculptured the statue himself and that after coming to life it was called Galatea. Black gold leaf endpapers. Gold metal filigree corners. Black satin ribbon tasselled bookmark. B6 - 100 pages. Six ring notebook with pages that can be added/removed. Black dry kangaroo leather with wrap around cover and magnetic closure. Q logo carved on bottom of front panel is a black circle with a red acrylic stroke. Two sterling silver plates riveted to the spine, diamond engraved and finished with black and Mediterranean blue enamel. The plates on the spine read: The Book of Life, Natural Spirituality. Inside front panel has translucent paper printed with "The Truth of all Truths". The back page is printed black with silver and red text and attempts to explain the Book of Life and Natural Spirituality. Narrow binder mechanism allows pages to open and lie flat. Black elephant hide endpapers and document pocket / memento pouch with handmade buckram concertina hinges. Cover: 138mm W x 186mm H x 32mm D (5.43 x 7.32 x 1.26in). Page: 122mm W x 170mm H (4.80 x 6.69in). Weight: 0.513kg (1.13lb). A4 - 312 pages. High quality black suede. Raised tribal dragon design painted blood red. Latin text beneath the dragon reads "DEUS ABSCONDITUS" which means "Hidden God". The book is sewn in French style with three reinforcing ribbons and spinal insert. Red headbands. Black satin tasselled bookmark. Burgundy milano endpapers. A5 - 310 pages. Three limited edition handmade copies of Sham El Nesseem by Claude M. Mills - an autobiography that follows a family's journey from the turmoil of revolutionist Egypt to settlement in Australia, and one boy's transition into adulthood. Written as a Christmas gift for two sons. Reverse carved kangaroo leather with gold title and author's name on cover and spine. Simple line border for corners and spine. The back cover shows two Feluccas - narrow, swift, sailing boats with triangular lateen sails used on the Nile River. Text and full colour photographs printed on photo quality inkjet paper using pigment inks. Overstitch style binding for single printed sheets, flat spine. Special gold headbands. Book 1 - London Brown (London Tan and Light Brown), honey brown elephant hide endpapers. Book 2 - Ocean Blue (Turquoise, Light Blue and Navy Blue), blue elephant hide endpapers. Book 3 - Burgundy (Red, Light Brown and Burgundy), rose elephant hide endpapers. Cover: 154mm W x 219mm H H x 42mm D (6.06 x 8.62 x 1.65in). Page: 142mm W x 207mm H (5.59 x 8.15in). A5 - 366 pages. Black dry kangaroo leather. Main feature is a large sterling silver Ankh, polished to a mirror finish - the Ankh is the Egyptian hieroglyph for life. Four polished silver corners on both front and back covers. The book is sewn in French style with two reinforcing ribbons and spinal insert. Special purple headbands. Black satin bookmark with straight diagonal cut. Black elephant hide endpapers. Page: 148mm W x 210mm H (5.88 x 8.25in). Weight: 0.857kg (1.89lb). A6 - 240 pages. Black suede, skeletal bat - body on spine, wings on front/back cover. White mango leaf endpapers. Based on an idea from 1997. A5 - 624 pages (oversize). Hand dyed deep-blue kangaroo leather with highly polished brass designs, filigree corners and clasps. Main feature is a hand crafted brass Sonkofa symbol, a heart-shaped design from west Africa that signifies learning from the past. Two finely detailed brass butterflies and Sonkofa clasps are attached to both front and back covers. Book closes with two hinged custom made book clasps adapted from the Sonkofa design. The book is sewn in French style with two reinforcing ribbons, Oxford hollow back and spinal insert. Special gold/brass headbands. Four ridges on spine. Sky blue satin bookmark with straight diagonal cut. Blue linen endpapers. Page: 148mm W x 210mm H (5.88 x 8.25in). Weight: 1.100kg (2.43lb). A5 - 312 pages. Hand dyed black kangaroo leather with finely carved leather cover. Main feature is "The Star" tarot card showing a peacock or bird of paradise sitting atop the forest canopy looking out to mountains in the distance and a shining star in a white sky. Around the card is a celestial blue border with the constellations of the zodiac starting beneath the sword and reading counter-clockwise: Aquarius, Pisces, Aries, Taurus, Gemini, Cancer, Leo, Virgo, Libra, Scorpio, Sagittarius, Capricorn. The gold symbols in each of the four corners represent the four Tarot suits and their related elements: Swords (North/Air), Cups (West/Water), Wands (South/Fire) and Pentacles (East/Earth). Above is the number 17 (XVII) which signifies the position of "The Star" tarot card in the Major Arcana. The symbol at the bottom is an alchemist's symbol for the Quinta Essentia (the fifth element or spirit). The back cover features a carved yellow sunflower (in remembrance of a special sister) and the initials "TS" for the intended owner of the book. The book is sewn in French style with two reinforcing ribbons and spinal insert. Special gold headbands. Royal blue satin ribbon bookmark with straight diagonal cut. Black and gold milano endpapers. Page: 148mm W x 210mm H (5.88 x 8.25in). Weight: 0.696kg (1.53lb). A6 - 192 pages. Halfbound black cloth with Aztec design corners and spine. This is a rare printed book containing the first 12 chapters of my novel - Repercussions of the Storm. It also features a bookmark ribbon as part of the construction of the book. Parchment endpapers. A5+ - 476 pages. Brandy coloured oiled kangaroo skin with emu leg spine. Bass relief dragon in metallic green, blue and purple, leathery red/gold wings and belly. 'Dragon' written vertically in gold. Tarasque was the name of a winged serpent who terrorised the villagers of Nerlue, France. Burgundy gold leaf endpapers. Cover: 197mm W x 257mm H (7.75 x 10.12in). Page: 177mm W x 244mm H (6.97 x 9.61in). Weight: 1.575kg (3.47lb). A5 - 312 pages. Brandy coloured oiled kangaroo skin with emu leg spine. Bass relief dragon in metallic green and purple, leathery copper wings. Gold patterned ring around dragon with gold runes beneath that translate to read 'It was only a breeze that went by' from The Hunting of the Snark by Lewis Carroll. Banana leaf endpapers. A4+ - 30 pages. Fullbound scarlet red goat leather with gold T.I.Y.L. including border, name and logo. Red satin ribbon bookmark with clean diagonal cut. Three-stich headbands. 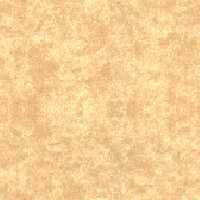 Antique parchment endpapers (110 gsm). The book pictured here was supplied as a blank red cover - the gold lettering shown here is a mock-up of how the final book would have looked (I never did get to see the finished product). Two small matching books designed to fit in a custom made memory box / time capsule as a surprise gift from a wife to her husband to celebrate their first wedding anniversary. Hand carved kangaroo leather, hand-dyed London Brown (mix of London Tan and Light Brown) with raised gold text on cover and spine. Text and images printed on parchment paper using pigment inks. The books are sewn in French style with spinal inserts. Special gold headbands. Honey brown elephant hide endpapers. Value of Commitment A6- - 366 pages. A symbolic book with text on the first page and 365 pages printed with "14th December" and a water lily - an image from the wedding ceremony. Value of Friendship A6- - 156 pages. Printed text of the first page and single pages of friends and family interspersed with photos of the married couple and their life together. Cover: 100mm W x 150mm H x 19mm D (3.94 x 5.91). Page: 90mm W x 138mm H (5.15 x 6.22in). Medieval style wedding photo album and guestbook. Designed as a matching set, bound in luxurious burgundy velvet inside and out. Burgundy braid trim inside cover. Hand cast and sculpted triangular pewter corners and diamond centre designs set with red glass gems that use a secret technique to reflect available light. The wedding album has twenty top-loading acid-free pages with heavy paper inserts, post bound using chrome Chicago screws. Unique floating spine adapts to additional pages. The guestbook has smaller pewter designs and features 96 parchment pages including a printed cover page with the names of the bride and groom, date of wedding and Celtic border design. Hand plaited burgundy satin ribbon bookmark with three initial letters cut and carved from a single piece of burnished pewter. Wedding Album: 12 x 12in - 20 top loading pages. Guestbook: A4- Landscape - 96 pages. A4- Landscape - 96 pages. Brown oiled kangaroo leather bound in landscape with gold 'Wedding Guestbook' hand carved on front cover, used as a guestbook for my own Oak Forest wedding in November 2003. Printed pages with brown text and ruled lines. Ivory pure silk bookmark with clean diagonal cut. Brown textured endpapers. Cover: 322mm W x 198mm H (12.68 x 7.80in). Page: 318mm W x 181mm H (12.52 x 7.13in). A3 size - 240pp heavy parchment (176gsm). Black oiled kangaroo leather with silver text and designs. Front cover features three joined Borromean Rings with the school motto - Imagine, Believe, Achieve - along the outer bands of the rings. The inside of the design is reverse carved into the cover. The WHSC W-tick logo is centred below the Borromean rings. The main text on the front cover reads "Whites Hill State College" and is located at the top of the cover design. A simple knotwork border around the whole front cover suggests the theme of endless learning. The back cover features a Tree of Knowledge representing the idea that "from little things, big things grow". The SC (School Council) monogram forms part of the tree design. First page printed with "Whites Hill State College - Book of Honours - LOGO - Imagine, Believe, Achieve" with blue Pegasus printed as the background. Reverse page printed with dedication of the book from the Council Executive. Remainder of pages will be hand written. The book is sewn in French style with four reinforcing ribbons and cotton inserts. Five ridges on spine outlined in silver. First-time burgundy & peacock blue two-colour headbands. Black endpapers. Cover: 306mm W x 432mm H (12.05 x 17.00). Page: 297mm W x 420mm H (11.69 x 16.54in). Weight: 3.39kg (7.47lb). A6 - 240 pages. Red suede, black and gold tattoo design of winged girl sitting with top hat. Black endpapers. Two limited edition handmade copies of A Zen Firecracker by Graham Nunn. Hand carved kangaroo leather, hand-dyed London Brown (mix of London Tan and Brown) with gold text. A selection of haiku poetry and illustrations printed on heavy rice paper using pigment inks. Japanese style binding, traditional stitch design (simplified Asa-no-ha toji). Main feature is a monk, kneeling to meditate - the monk design features on the original paperback cover and also as one of the illustrations inside the book. Back cover has book over world globe which is the logo for Impressed Publishing. Black gold milano endpapers. Cover: 140mm W x 169mm H x 13mm D (5.51 x 6.65 x 0.51in). Page: 131mm W x 158mm H (5.15 x 6.22in).